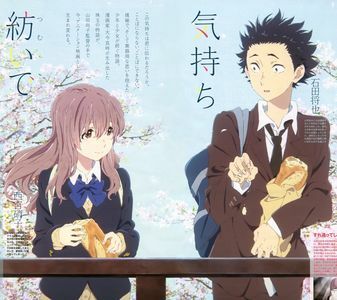 Do আপনি want to have Koe no Katachi as an জীবন্ত series অথবা have the জীবন্ত movie made? অনুরাগী চয়ন: Stick with the জীবন্ত movie!! Stick with the জীবন্ত movie!! Which sister do আপনি like most? Have আপনি seen Koe no Katachi/A Silent Voice? অনুরাগী চয়ন: Yes! It's amazing! Oh, man! I wish April could come tomorrow! I really, really, really want to watch this <.< Call me a total crazy person, but I can seriously relate to the female protagonist (I'm sure all who are similarly like her, can অথবা have experienced and faced the same challenges, etc). Vào thứ mấy Ishida cùng Nishimiya cùng cho cá chép ăn bánh mì tại cây cầu ?